Lenders Seeking Loan Modification After Bankruptcy, Beware! - Ward and Smith, P.A. 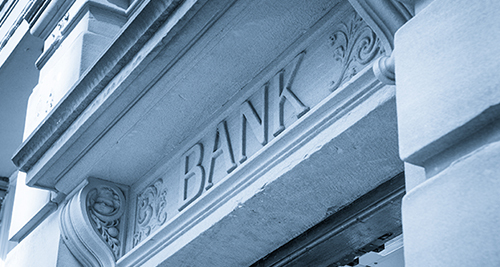 LENDERS CANNOT REVIVE A GUARANTY OBLIGATION DISCHARGED IN BANKRUPTCY WITH A SUBSEQUENT MODIFICATION OR FORBEARANCE AGREEMENT, EVEN WITH NEW CONSIDERATION; AND ATTEMPTING TO DO SO MAY LEAD TO LENDER LIABILITY EXPOSURE. Recently, a bankruptcy judge in the United States Bankruptcy Court for the Eastern District of North Carolina issued a ruling that makes it more difficult for lenders to modify loans when a former guarantor has been discharged of the same obligation in bankruptcy but agrees, post-discharge, to again guaranty the obligation. The circumstances present a trap for unwary lenders that could result in lender liability. In the bankruptcy case of In re Schwarz, the judge ruled that when a guarantor's obligation to guarantee a debt is discharged in bankruptcy, the lender cannot later require them to enter into a new guaranty for the same debt unless the guaranty meets the strict requirements of a valid "reaffirmation agreement" under the Bankruptcy Code. New consideration to the borrower in the form of more favorable payment terms makes no difference. A lender's procurement of a renewed guaranty that doesn't meet the reaffirmation agreement requirements will violate the bankruptcy discharge injunction and result in lender liability. A bankruptcy discharge extinguishes the debtor's personal liability for a debt. Once a debt has been discharged, the Bankruptcy Code imposes an injunction against the commencement or continuation of any actions to collect, recover, or offset the debt as a personal liability of the debtor. While nothing prevents a debtor from "voluntarily" repaying a discharged debt, post-discharge actions by a lender that induce or influence the debtor to enter into a new agreement to repay the discharged debt are unlikely to be considered voluntary and therefore are likely to violate the discharge injunction. To be valid, agreements for the post-discharge repayment of dischargeable debts must meet the strict requirements of Bankruptcy Code Section 524(c) and, among other things, must have been entered into before the discharge was granted and be filed with, and in some cases approved by, the bankruptcy court. In In re Schwarz, Dr. Schwarz, a physician, had personally guaranteed his medical practice’s obligations under various equipment finance agreements with a lender. Some years later, Dr. Schwarz and his spouse, Mrs. Schwarz, filed for Chapter 7 bankruptcy and they listed Dr. Schwarz’s guaranty obligations under the finance agreements as debts in their bankruptcy petition. The Schwarzes received a bankruptcy discharge of all their debts, including Dr. Schwarz's guaranty obligations, and their bankruptcy case was closed. Dr. Schwarz’s medical practice did, however, remain current on the finance agreements before and throughout the pendency of the Schwarzes’ bankruptcy case. Some years later, the medical practice defaulted on the finance agreements and Dr. Schwarz, as CEO of the practice, entered into discussions with the lender about a potential forbearance agreement. As a result of those discussions, the practice and the Schwarzes executed a forbearance agreement in which, among other terms, both of the Schwarzes agreed to guarantee the practice's obligations under the finance agreements in exchange for the lender's agreement to lower the practice's monthly payments and extend the repayment term. The practice later defaulted on the forbearance agreement. Upon default, the lender moved to reopen the Schwarzes’ bankruptcy case, which had been closed for five years, so it could obtain a declaration from the bankruptcy court that the Schwarzes' new guaranties under the forbearance agreement did not violate the discharge injunction or constitute an unenforceable reaffirmation agreement under the Bankruptcy Code. In response, the Schwarzes alleged their guaranty was unenforceable and filed a counterclaim against the lender for allegedly violating the discharge injunction and to recover damages. The lender moved for summary judgment and argued that Mrs. Schwarz’s guaranty of the practice’s debt could not have been an unenforceable reaffirmation agreement or a violation of the bankruptcy discharge injunction because, prior to the bankruptcy case, Mrs. Schwarz was not liable for the medical practice’s obligations under the finance agreements. Only Dr. Schwarz had been a guarantor and received a discharge of the obligations. As to Dr. Schwarz, the lender cited a line of bankruptcy cases suggesting that his guaranty under the forbearance agreement was a valid and enforceable agreement because it was supported by new and independent consideration—the more favorable repayment terms for the practice. The bankruptcy court agreed with the lender's reasoning concerning Mrs. Schwarz. It held that her new guaranty was enforceable and could not have violated the bankruptcy discharge injunction because she had never been discharged of any obligations related to the practice's debts to the lender. As to Dr. Schwarz, however, the court rejected the lender's argument and held that the Bankruptcy Code invalidates any post-discharge agreement that is based, in whole or in part, on a debt that was discharged. The court also held that because the lender had not followed the Bankruptcy Code's specific procedures for agreements to reaffirm pre-bankruptcy debts, the procurement of Dr. Schwarz's personal guaranty under the forbearance agreement was a violation of the discharge injunction and therefore subjected the lender to a claim for damages. Lenders entering into loan modifications and forbearance agreements involving one or more existing guarantors need to understand the In re Schwarz decision and the reasoning behind it. If an existing guarantor has received a bankruptcy discharge of the guaranty obligation, then a renewal of the guaranty in a subsequent modification or forbearance agreement is likely unenforceable, regardless of whether it is supported by new consideration in the form of additional concessions from the lender. Worse yet, procuring the guarantor's execution of the modification or forbearance document is likely to incur liability for the lender as a violation of the bankruptcy injunction and subject the lender to a claim for damages. If you need guidance with this or other bankruptcy issues, please contact Ward and Smith's Creditors' Rights Practice Group. © 2019 Ward and Smith, P.A. For further information regarding the issues described above, please contact Paul A. Fanning or Norman J. Leonard.